How to Convert / Save Outlook Emails to PDF file? Outlook Emails are generally save on your computer in OST file and Outlook PST file. If you need to save Outlook emails to PDF file format, using safe and result oriented application to quickly save both Outlook OST and PST email to PDF file with embedded properties. Email exchange done from Outlook is the most common practice of desktop client users. Despite the availability of multiple messaging services operating from desktop, users are generally seen adopting the practice of working on Outlook. Microsoft being the brand of provider is one of the top reasons for this inclination along with the user-friendly operation being another. However, despite the convenience what most users are put off by is the fact that OST files are dependent on the server to which they are connected. Therefore, for data mobility users approach different methods one of which is discussed in the following blog. Users are generally encountered enquiring how to convert emails to PDF file from OST storage. Therefore, the blog is dedicated for sharing information about the same. What Makes Outlook Email Users Switch to PDF File? OST files are bound with an encryption-based security. The encryption bounds the OST files to their respective mailbox residing on the Exchange Server. This security is to ensure that the offline storage is not compromised with by being connected to a different server mailbox. Unlike a PST file, an OST is only accessible in its own environment and can be synchronized with the respective origin mailbox. Therefore, in order to attain mobility with offline storage mailboxes, users choose to convert them into independent storage formats that are application as well as Operating System independent. Portable Document Format: There are plenty of formats that are either platform independent or open source, but none as flexible as an Adobe PDF. Documents are easier to carry around which helps in accomplishing data mobility in an easier manner. How to Accomplish The Conversion of Offline Oultook Mails to PDF? There are no manual ways to get emails converted to PDF. All you can do in the name of manual conversion is copy the matter of the emails one by one, and paste it to a document file. Here you can either create a PDF file directly using the licensed copy of Adobe Acrobat or save a Word document as PDF once the copied contents are copied. However, the method is lengthy enough to be chosen over an alternative, i.e. a third party application. There is software for almost everything and nothing seems to be complicated anymore with applications being available in such variety. 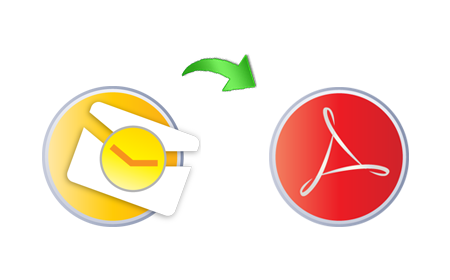 One of the application applicable for use in a condition like this is the Outlook OST to PDF Converter that enables users to process an offline data file of Outlook and convert its email contents (with attachments embedded) to a PDF file. The output for each email is generated separately as an individual. How to Save Offline Outlook Data file to PST format? How to Synchronize OST file with Exchange Server Mailbox? How to Restore Emails from Corrupted OST Files?